Exciting growth is happening at LinkedIn. This week LinkedIn acquired the online, skills based training company Lynda.com to expand their global economy. 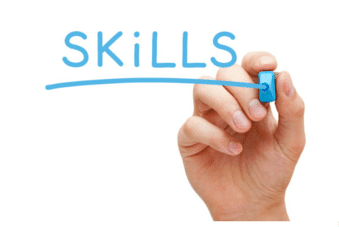 If you are not familiar with Lynda.com it is a skills based learning platform where for a monthly membership fee you have access to thousands of practical LinkedIn courses (like mine) that teach you a skill. I have heard so much great feedback from people who were new to a skill and those who wanted to learn the latest, both found value in this platform. You can learn every type of technology from how to use WordPress to the latest in Photoshop for graphic artists as well as courses on how to build a better widget and how to sell it! I mean you can learn most anything on this platform. According to LinkedIn CEO Jeff Weiner, “LinkedIn’s fundamental value proposition is connecting people to opportunity.” The future direction of LinkedIn is clear in terms of the importance of skills. The partnership with Lynda.com will bring together the ability for everyone to obtain the skills necessary to get a job, further their careers and business. LinkedIn is an important platform and one that all professionals should be paying attention to because the future growth and expansion will affect every professional on the planet. We all will have more and more access to global opportunities and that is exciting. Combine that with the shift in making skills based training more accessible – WOW, the future is bright with LinkedIn growing skills for a global economy. Stay tuned! This week Starbucks CEO Howard Schultz announced the initiative to offer a college education for its employees in partnership with ASU. They are particularly seeking those employees who never had the chance at a college education because of economics. The social impact this public company will have now and in the future is truly incredible, it’s vision like LinkedIn is beyond profits. These visionary leaders are mapping out a future economy that will benefit more people. So stay tuned, this is truly an exciting time for professionals. 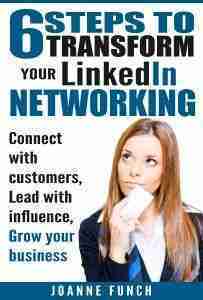 Are you looking for new ways to extent your business on LinkedIn? Whether you need a LinkedIn Company Page redesign, personal profile update, want to add contacts, make new LinkedIn connections, or improve you LinkedIn summary, you have much to gain. The new LinkedIn’s Publisher Platform offers so much more than was previously available. By staying current with the latest opportunities and platform updates, you won’t miss out on what LinkedIn is offer it’s members. Some items roll out only to be replaced by something better.